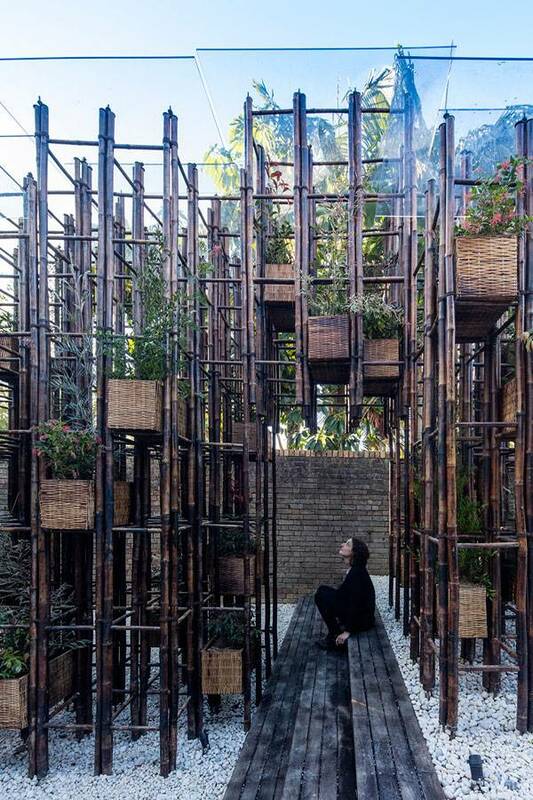 Article by Kamil Rawski – Green Ladder, by Vo Trong Nghia Architects, in Sydney, Australia Green areas have always been important to the environment of our cities. But in the future, their importance will be even greater. Most people associate such areas with recreation and relaxation, which is correct — this is one of their basic functions. 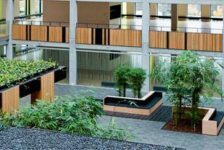 In addition to leisure, green areas have many other purposes, which we can divide into ecological, environmental, and esthetical aspects. 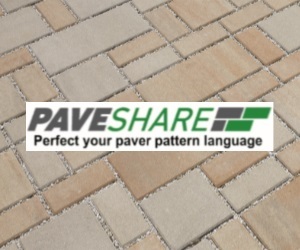 Are you able to imagine a city without natural elements? Unfortunately, there are still a lot of places where people ignore the role of greenery planning in urban spaces. 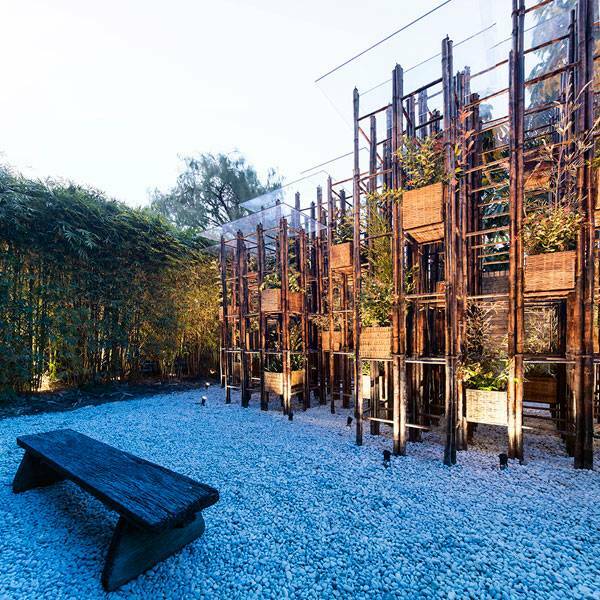 This problem has been noticed by architect Vo Trong Nghia, who designed Green Ladder, which can be seen on the Sherman Contemporary Art Foundation’s (SCAF’s) annual architectural pavilion series. 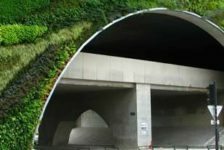 Through this project, he wanted to show a possibility for bringing nature back to the city. 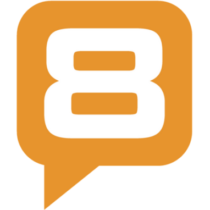 Before the design could be presented in Australia, it had to come a long way — from Vietnam. 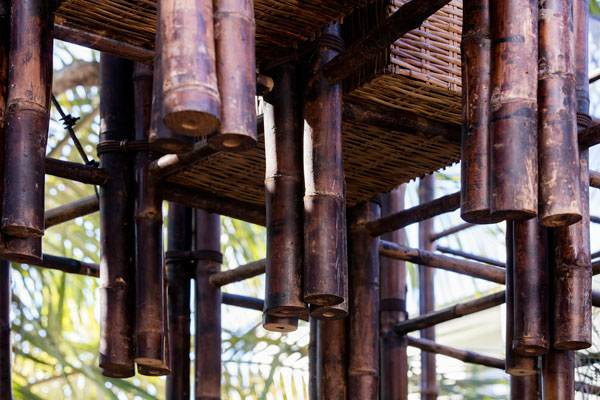 The green ladders that give their name to the project were modeled on typical Vietnamese ladders. Materials were obtained in that country, and they were also combined into modules there. 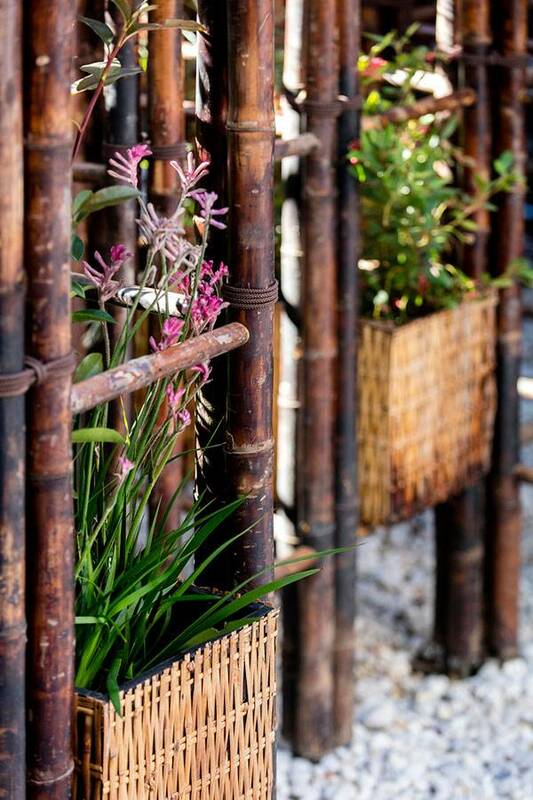 The entire process of creating the bamboo elements included soaking them in natural waterways for two months, then smoking them for another month. 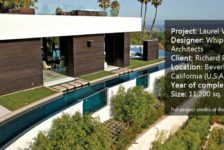 The completed project was first seen at the 2016 Asia Pacific Architecture Forum, which took place in Brisbane in March. After that, it was finally sent to Sydney for SCAF’s exhibition. You can see Green Ladder on SCAF’s Fugitive Structures Dec. 10, 2016. It is part of a temporary pavilions exhibition used for researching and testing new concepts. 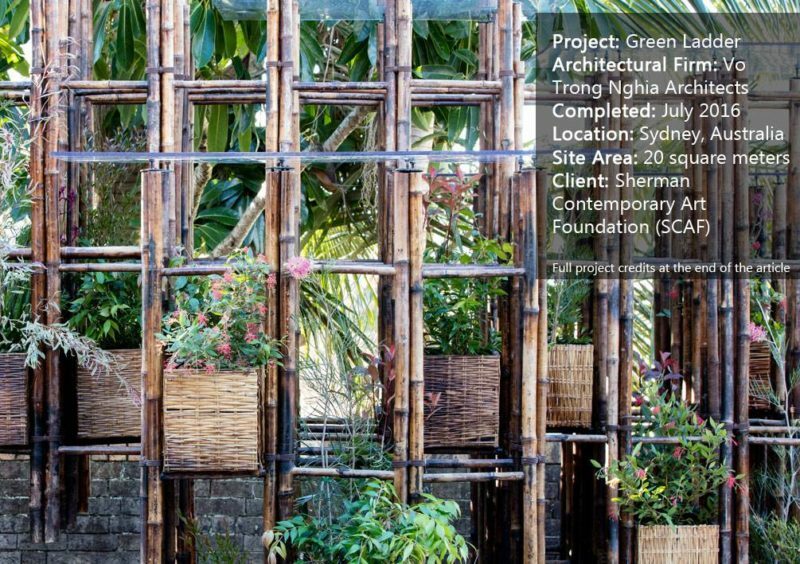 This is the first time that Vo Trong Nghia has shown a project on exhibition in Australia. He gave a speech during the opening week of exhibition, which enabled him to showcase his idea to listeners. 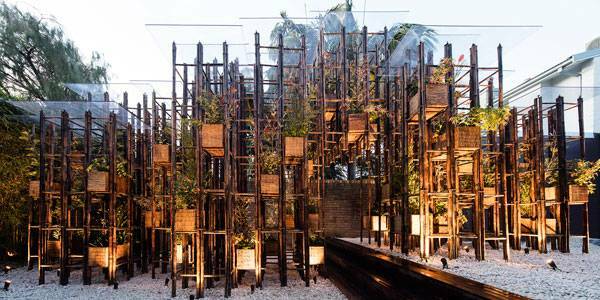 The Green Ladder pavilion has been designed to resemble a dense green forest. 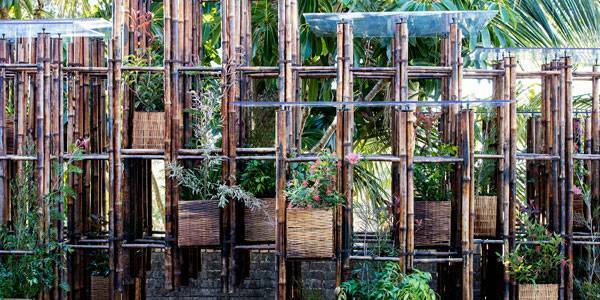 The project shows us that bamboo is a great building material: Not only is it cheap, but it also has tensile strength and large structural and design possibilities. That is why it can be called “green steel” and can compete with regular steel. 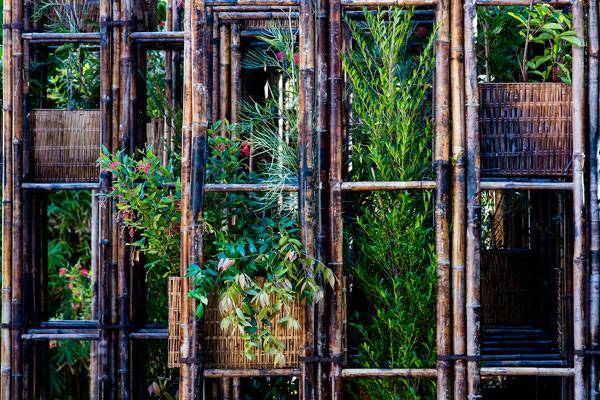 The architects hope to raise the audience’s awareness about how bamboo can be used. 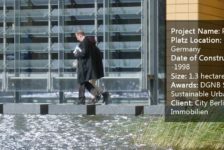 This is one method landscape architects can turn to to increase the use of natural resources in urban spaces. 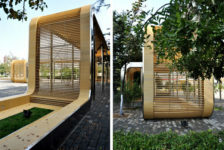 The main component of this architectural pavilion is the bamboo. It can be obtained quickly and cheaply, because it is a type of a grass that grows extensively in Vietnam. Due to the low cost of cultivation, it can be bought for just dollars per cane. 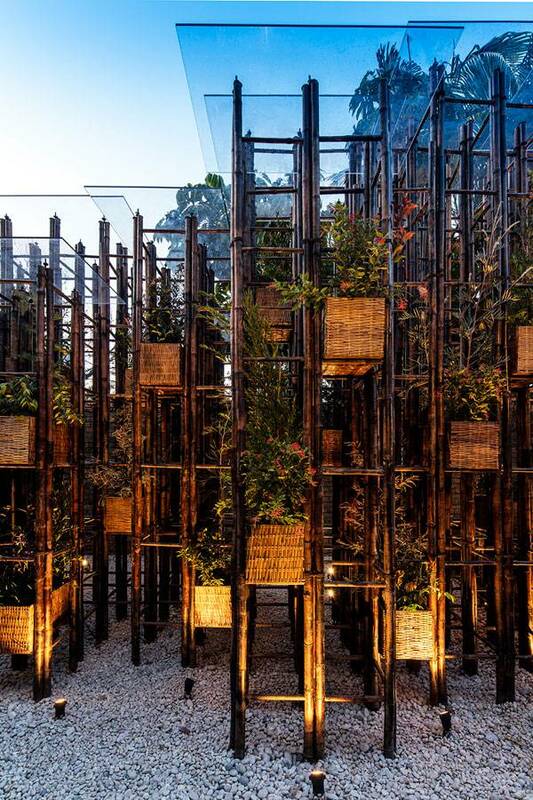 In this project, the green ladders are made from bamboo elements connected with rope. It is a basic module, which after duplication creates a porous structure. It is more stable than it seems, because it is forming a grid-like frame. 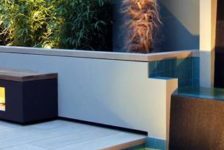 Everything is complemented by planter pots, which are situated in the spaces between the ladders. These are the braided baskets, which have regular, rectilinear shapes. 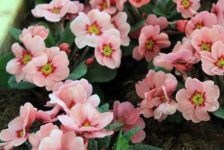 The plants inside them give an impression that the whole composition is more dynamic. 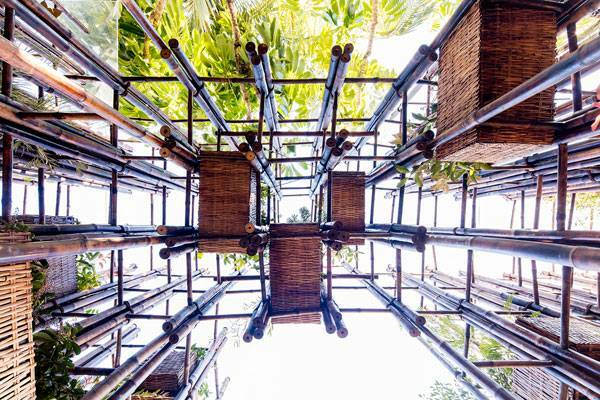 Part of the pavilion is designed to allow people to walk under the connected ladders or crawl among the baskets and see how it looks from below. It gives the impression that the visitor is inside the object. Up top are see-through plastic panels that create a protective roof. You can walk from one level to another by climbing three-step stairs. The pavilion creates a connection between nature and people. Green Ladder is something more than just a construction for aesthetic or functional aspects; it is a kind of catalyst for human-nature interaction. 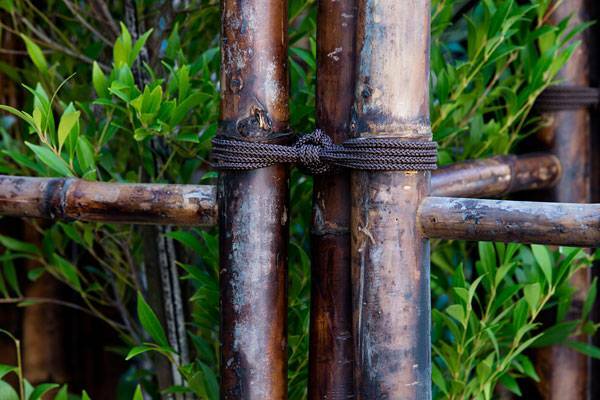 The use of “green steel” – bamboo – in this project may encourage other designers to use a broader range of more natural elements in their urban landscape projects. 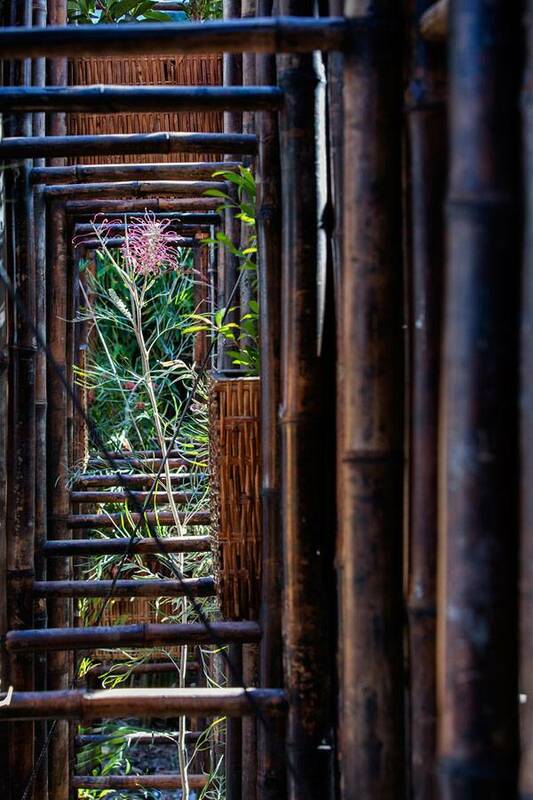 Through the use of bamboo as “green steel,” landscape architects can create interesting designs that can be a green oasis in the concrete jungle of the city. Do you have an idea of what could be designed from “green steel”? Share it with us in a comment!